I have known for a long time I would have a hard time conceiving but that news didn’t really affect me until I was married and we wanted to start a family. At that time I couldn’t have told you the optimal size of a follicle or told you my exact basal temperature at any point during the month. I would have told you you were crazy if you said I’d have blood drawn weekly (sometimes more than once and up to 30 vials a week) or give myself shots because at that time the idea of a shot made me want to puke. I would have cringed if you told me we’d have to excuse ourselves early from family functions and make up an excuse because I needed to go throw up for the 5th time that day. I wouldn’t have understood going to the bathroom and crying in the middle of my Target run because everyone I was passing in the aisles was pregnant or with a baby. Going through these things are apart of our regular life now. If we wouldn’t have gone through this struggle thus far we also wouldn’t understand the grace of God the way we do today. We wouldn’t understand the feeling of peace that He is in control. We wouldn’t be as close as husband and wife because one thing’s for sure: 1 in 8 couples go through infertility but NONE of those couples are the same. I sit in our fertility doctor’s office up to 4 times in any given week, often seeing the same women’s faces. Many of those women share a similar journey as my husband and I are on but none of us feel the same way. Honestly I don’t even feel the same way day to day about this journey. There are days my heart literally begs God for a baby. There are days I just don’t understand why but God always is quick to remind me that it’s okay that I don’t understand as long as I remember He is in control. I’m definitely far from perfect and there have been many days I have been angry at God, but in His normal loving way He is quick to invite me back into His embrace. He is quick to remind me that He is good all the time… even in our struggles. I have learned to pray differently and yes, I daily pray for our sweet baby that will someday take a home in this mama’s belly. A baby that is already so incredibly loved by this mama and daddy. A baby that is incredibly longed for. 1 in 8 couples is a lot of couples. As we’ve slowly shared our journey with friends and family we’ve become aware of many other people in our lives that have struggled in one way or another. We are the first among these people to go to the step of IVF but every journey is unique and one day our story will start the next chapter to. It is a scary step to share your struggle with those you love and there are some people we’ve decided to stop sharing with but it’s been so healthy to get support from a special few. I know that everyone we’ve shared our journey with only has good intentions with how they’ve responded but even so, some responses are so hurtful. We are young and we know that but a longing heart has no age. We also know that it will be okay. We don’t doubt that but those responses only minimize the hurt we are experiencing. On the other hand the friends that send us encouraging verses or ask how we are doing are so incredibly appreciated. I’ve cried with a few of those sweet friends and they’ve cried with me and God has opened up some pretty precious relationships because of this journey. For that I am so grateful. I found Sarah’s Laughter, an online Christian support for women dealing with infertility and it has changed my soul. It’s real. It doesn’t just tell me to trust God because lets face it, that answer isn’t always enough for our humanly heart. 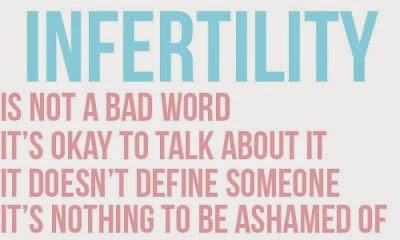 Infertility is full of unknowns. There is no reason we didn’t get pregnant at the beginning of this year. We had a month of the closest to normal we’ve ever had. Everything worked the way it was supposed to, but God wasn’t ready. One day He will be though and until then we’ll continue down this path and hopefully by me sharing this journey will connect with other sweet souls on the same path. Kate – I've been looking forward to having a moment all day to sit down, read that post, and comment! First, I thank you so much for sharing your story and being so brave! My husband and I really struggled here too for a lonnnnng time before getting pregnant with our son, and now that we are trying for baby #2 the feelings are all very raw again! I just applaud your willingness to open and share.. It is still bet hard for me as sometimes the innocent comments people make really hurt! For example, the last two people I told our struggles to both told me "oh well I never struggled with that, my husband would LOOK at me and I'd get pregnant! It takes everything in me to smile and not scream "NOT HELPING!!!" At the same time, it's made me a much more compassionate, faithful, appreciate person. I'm learning so many lessons about trusting God and His timing and giving up my own plans for something far greater. I look back now and I wouldn't trade our struggles for anything because out of it we got Miles- and I'm 100% positive he was the baby I was meant to be a mom too and nothing has ever made me trust God more!! 💙 In the meantime, we still plan and try and test and the the meds and track and have he constant dr appts and phone calls, but I try not to let it take away from the blessed life I'm currently living! Some days are hard, there are dark hours and dark moments, but it so helps to share with people like you and know we are not alone! I will be keeping you in my prayers, and if you ever want to talk please let me know!!! My sweet friend, thank you! I totally understand the most innocent comments are some of the worst! Your little babe is such a cutie and Lord willing you'll be blessed again! 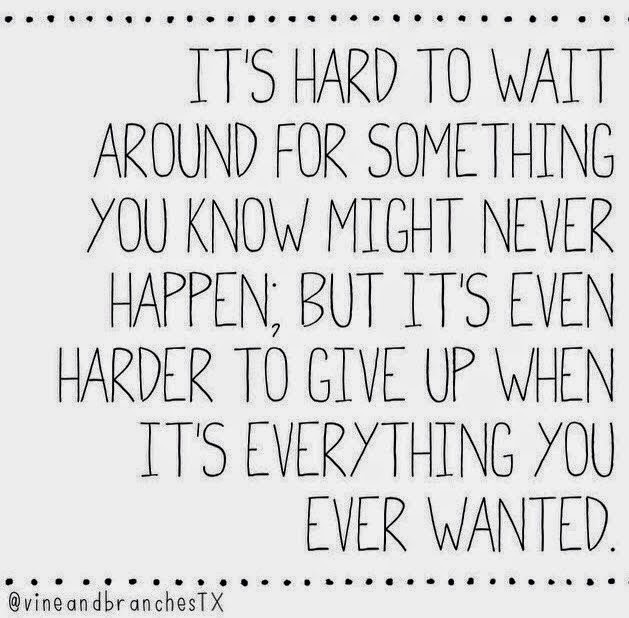 The wait is so hard but I'm sure, so worth it. I totally agree that you can't let it ruin your day to day life because you will miss out on so many good times… I'm so grateful that God understands my struggle unlike anyone (even my hubby) because He knows my heart and soul in every way. We are so fortunate to have a Savior that allows struggles but hold us up through them all! You and your hubby are in my prayers… Thank you so much for reaching out! Please let me know how you're doing with this girl! Anytime, I'm here to talk! Hi Deirdre! Aww I'm constantly so blessed by relationships made over Instagram! I definitely agree… Laying it all down to God is the best thing you can do. He takes our burdens from us if we allow it! It's totally a roller coaster of emotions but I know it will make our baby that much more adored because he/she is so incredibly desired. I'm sure you understand that feeling first hand! Thank you for reaching out… God works in mighty ways sometimes and I'm so thankful your my InstaSista!